Question time — eye contact? Most of his interactions are with an insular circle of political aides who are new to the State Department. Many career diplomats say they still have not met him, and some have been instructed not to speak to him directly — or even make eye contact. 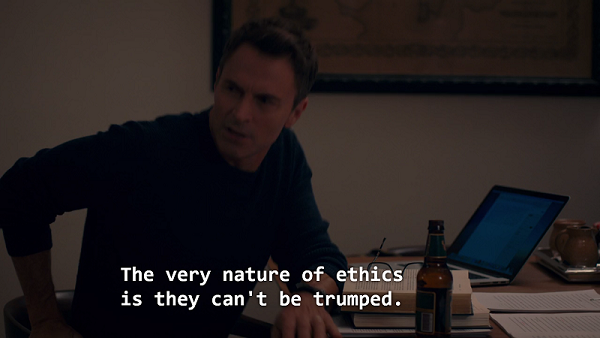 Gaze is a fascinating business. When I came back to the UK after living in the US for a couple of decades, my mother was appalled by my tendency to look her in the eye when speaking to her. She told me that you should look away from the person you are addressing, to avoid shaming them by closely observing their reactions to what you’re saying, but should then watch them while they (with eyes averted from you) responded, so as to catch the nuances of their response. Your interlocutor thus gains precious moments in which to modify the immediacy of their response to the suitable response of their choosing. This, I imagine, incoudes but may not be limited to the very rapid, easily missed facial responses knoan as microexpressions. I by contrast like the direct gaze, and think of it as a sign of authenticity or perhaps earnestness. In golden ringlets wav’d, and graceful shone. Resolv’d to compass, what his soul desir’d. And seiz’d, and rifled the young, blushing maid. Her shining hair is chang’d to hissing snakes. Two hundred, by Medusa’s head were ston’d. What wasteful havock dire Medusa made. There, rampant lions seem’d in stone to roar. And not one serpent by good chance awake. And from her body lop’d at once her head. Sprung Pegasus, and wing’d his airy course. One wonders how much irony there is in that phrase, “not one serpent by good chance awake” — chance, or fate? 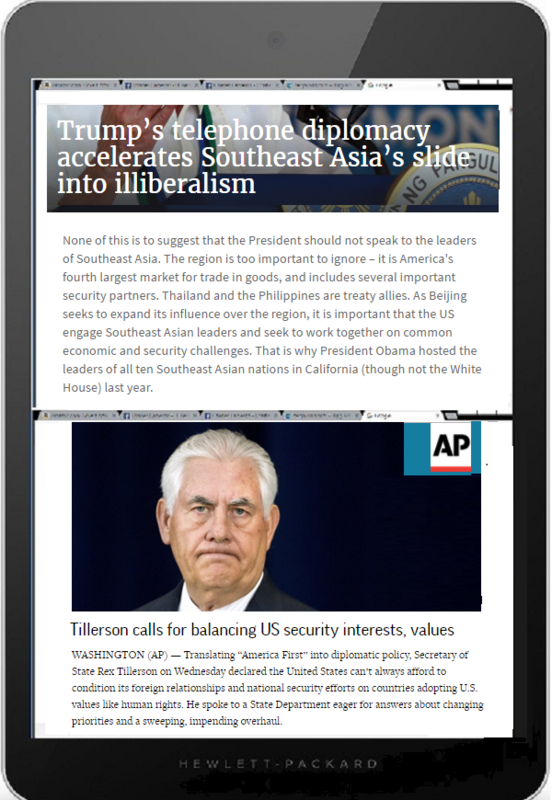 So I’ve titled this post Question time, hoping Zp readers will chime in with significant readeings that explore the reasons Tillerson may have requested no eye-contact — if in fact he did. which presumably falls within the category RUMINT unoess otherwise corroborated by named and trustworthy sources. Eye contact — any suggestions? 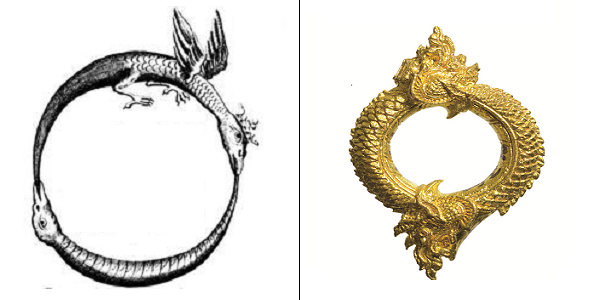 Naga is the great snake of wealth in Buddhist belief when two Naga connect into a circle, it means wealth will never end..
That’s right, infinite wealth is yours for only $26.90. In recent years, ascendant political currents in America and Israel had already begun to merge. We have now reached the point where envoys from one country to the other could almost switch places: the Israeli Ambassador in Washington, Ron Dermer, who grew up in Florida, could just as easily be the U.S. Ambassador to Israel, while Donald Trump’s Ambassador-designate to Israel, David Friedman, who has intimate ties to the Israeli settler movement, would make a fine Ambassador in Washington for the pro-settler government of Benjamin Netanyahu. As you may know, I’m generally disinclined to support one side in a conflict when it appears to me that conflict itself is the basic conundrum we should be examining. Accordingly, it’s the form here — the two serpents, the two ambassadorships working together as an integrated system, that I’d call your attention to. Sometime back in the last century I suggested the utility of a Tarot-like pack of cards showing the great archetypal images that have populated the imaginations of so many cuotures across the globe and centuries. 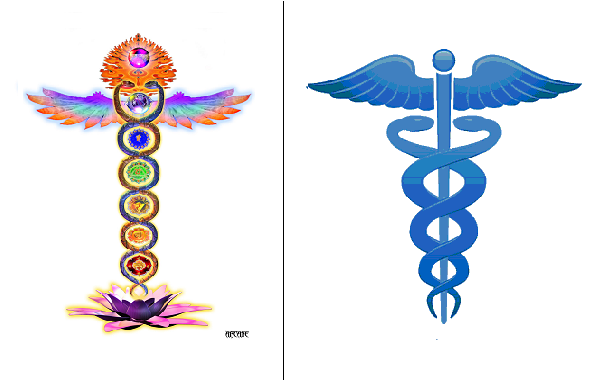 Thus both the caduceus of western medicine and the kundalini of eastern yoga show twinned serpents spiraling up a central pole – and if Linus Pauling had seen that double serpent image when he was chasing the structure of DNA, he might have spent less time on the triple and more time on the double helix, and beaten Crick and Watson to the punch. 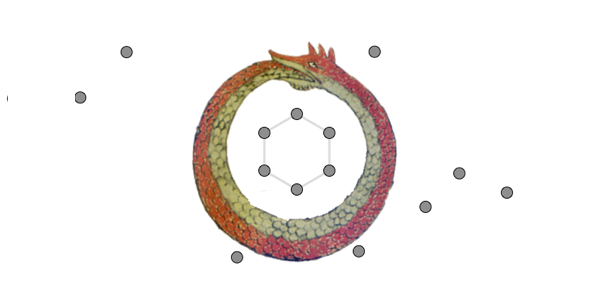 A similar case can be made for Kekule’s realization that the form of the benzene molecule was a ring, supposedly triggered by a reverie of the ouroboros or serpent biting it’s tail. It’s worth noting, however, that this appears to be an old wives’ tale, perhaps fashioned by Kekule himself, as detailed by JH Wotiz and S Rudofsky in Kekulé’s dream: Fact or fiction?” Chemistry in Britain, 20, 720–723 (1954). Now, are the debunking stories better stories than their respective archetypal insight stories? And what’s the truth in story, in any case? In the psyche, story and fact are both story, tiny molecular weavings of the imagination. And how does this tie in with “news” — fake and true? Trying these shoes on for size — nah! 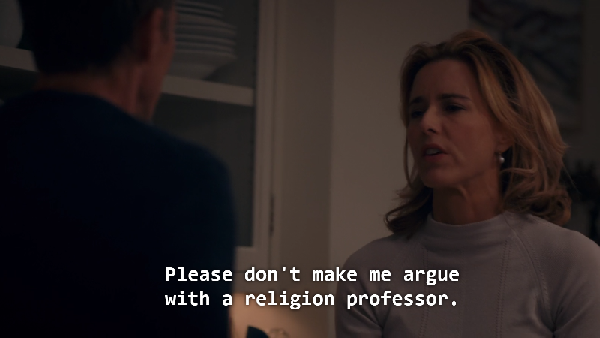 I’ve been having some private chuckles watching season 1 of Madam Secretary, and I’m betting Dr Henry McCord, the religion professor / NSA guy, doesn’t have to beg his friends for copies of their journal papers the way I do, lol. I’m afraid you may sometimes feel much the same when I forcefeed my own equivalent on you all. He’s good on Aquinas and reads Arabic to boot. That’s impressive. Henry McCord: You know, in Waco, Koresh was at an absolute standoff with the FBI until a couple of religious scholars got him talking about his beliefs, the Bible, and then that’s when he was ready to come out peacefully. Elizabeth McCord: So scholars almost saved the day at Waco, huh? 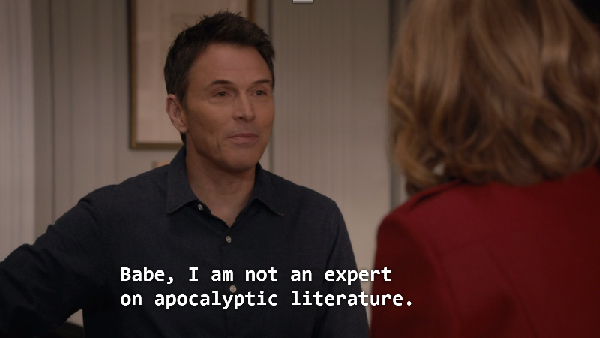 Henry McCord: Okay. There’s no way of telling how that might have turned out. James Tabor & Eugene Gallagher, Why Waco? Okay, I can’t walk in Dr McCord’s shoes, but I’d happily follow his footsteps a little farther — once Season 2 arrives on Netflix.